I believe 1906 was a pivotal year for Ford Motor Company, bringing out Models K and N, while producing the Model F for the second year. How did they "stack up" with the other cars of the day? . 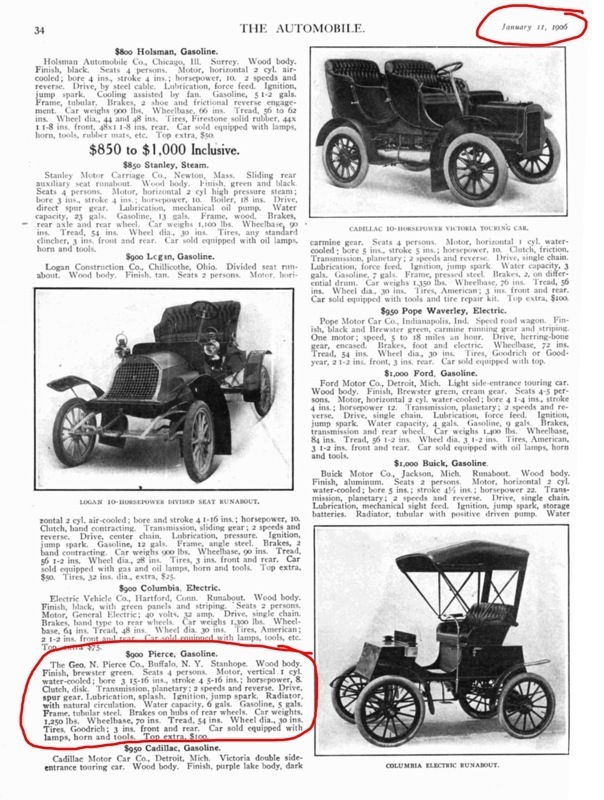 "The Automobile" magazine printed a review of the cars for 1906 (January 11, 1906). Some of the numbers, and how the Fords fit in the mix. 240 cars and models were listed. Of these, 111 cost less than $2500, and 129 cost $2500 and over. The least expensive at $400 was the Orient, a one cylinder 4 hp buckboard. The most expensive was the $12,300 Panhard, a 50 hp four cylinder 125 inch wheelbase touring car. 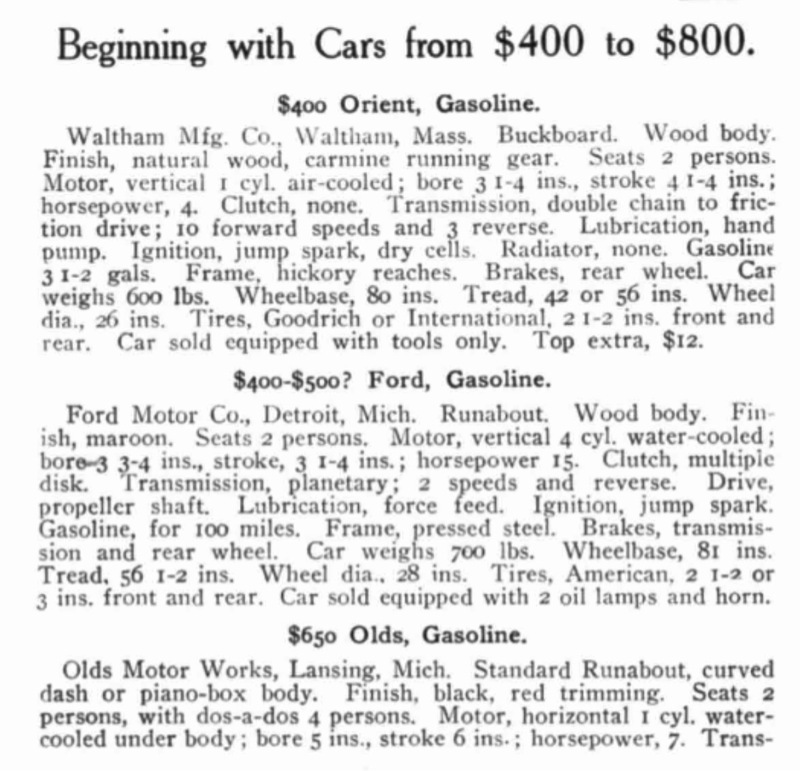 The Orient was the only car listed for less than the Ford Model N. The description, along with price of the Model N was sketchy, with the magazine reporting the N would sell for $400 to $500. 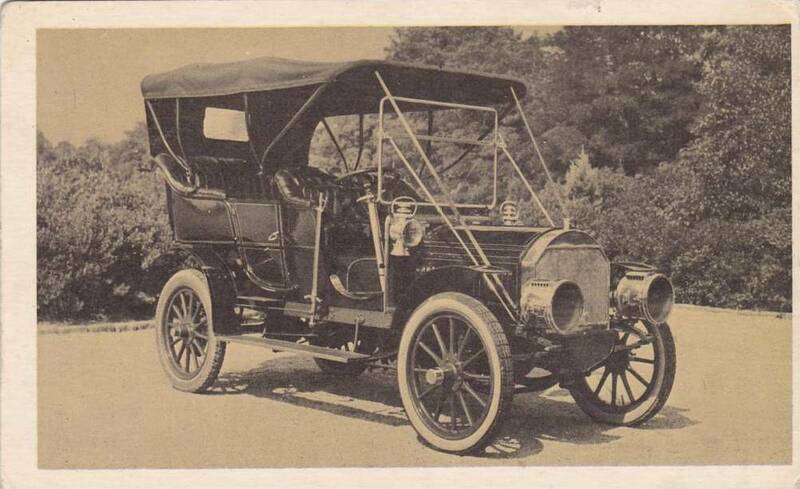 At $500, the Ford Model N was a huge value for 1906. The nearest comparable car to the Ford Model N is the 14-18 hp Mitchell, costing twice as much as the N, at $1000. With a substantial list of car makes and models (including specifications), comparisons become more manageable. Following is a comparison of Ford Pierce automobiles. 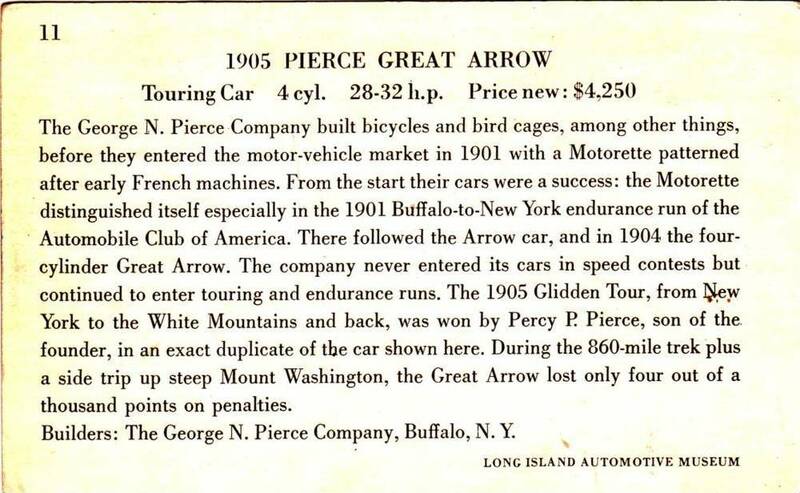 While George Pierce N. Pierce Co. (Pierce Arrow) is a higher quality automobile, the comparisons are interesting. Like Ford, Pierce offered three models, a low priced $900 Stanhope, and two high end touring cars (with multiple bodies available). 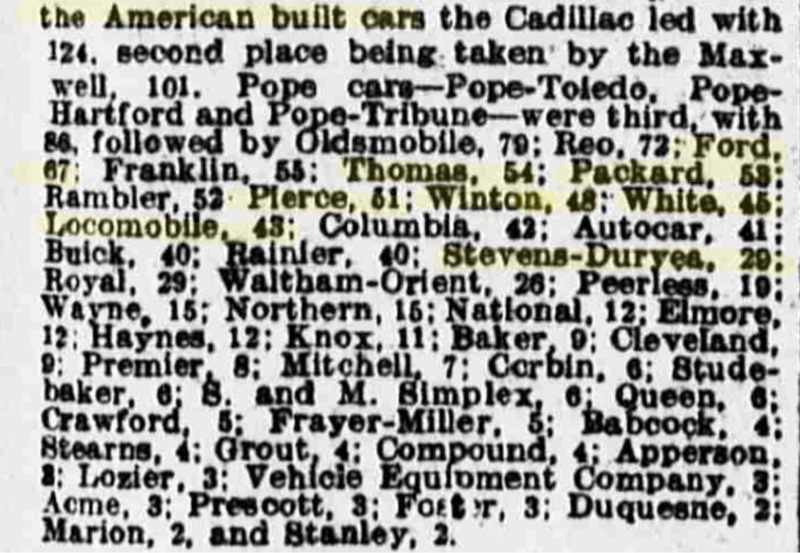 I don't have a model by model production breakdown for Pierce, but went with one third of the total named in a late 1906 news account, saying Pierce manufactured 700 autos for 1906. "Standard Catalog of American Automobiles" (by Beverly Rae Kimes and Henry Austin Clark Jr.) list 1000 cars produced by Pierce for 1906 (no reference given). If one chooses to use that number, the average per model would be 333 cars (each model). However, whichever number is used, I assume it's safe to say the higher end models were probably sold in less numbers than the low end ($900) Stanhope model. I think you are mistaken Rob. The Pierce 1 cylinder Stanhope was outdated by 1906. I think any of those sold by Pierce in 1906 were leftovers from 1905. No way there were equal number single cylinder Pierces sold that year based on surviving examples. 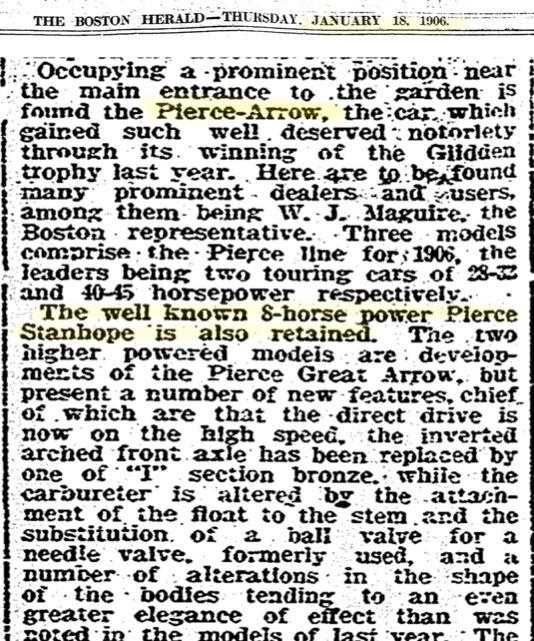 "Standard Catalog of American Cars" lists the Pierce Stanhope as one of three models for 1906, as does "The Automobile" magazine, January 11, 1906. "Standard Catalog of American Cars"
"No way there were equal number single cylinder Pierces sold that year based on surviving examples." 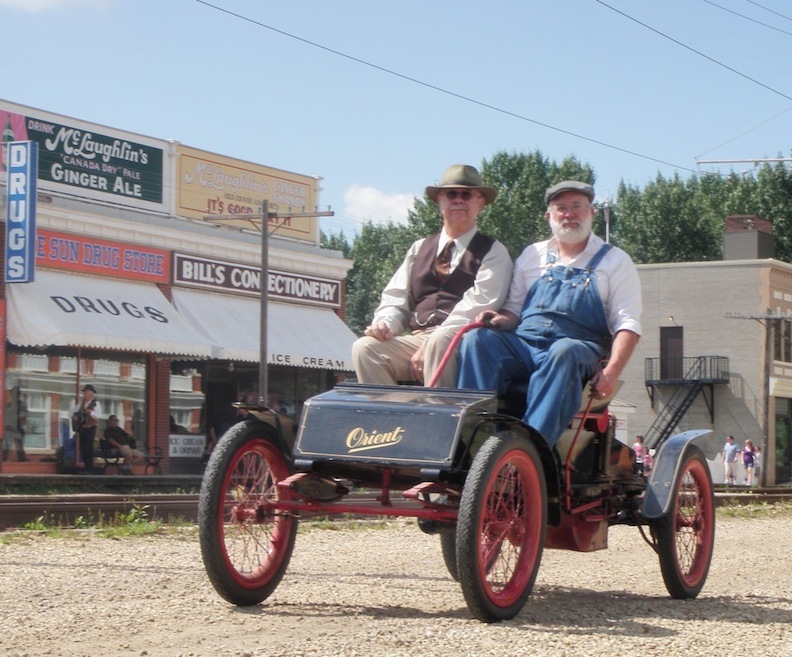 How many 1906 Pierce Stanhope cars survive? How many of each of the $4000 and $5000 1906 Pierce Arrow automobiles survive? 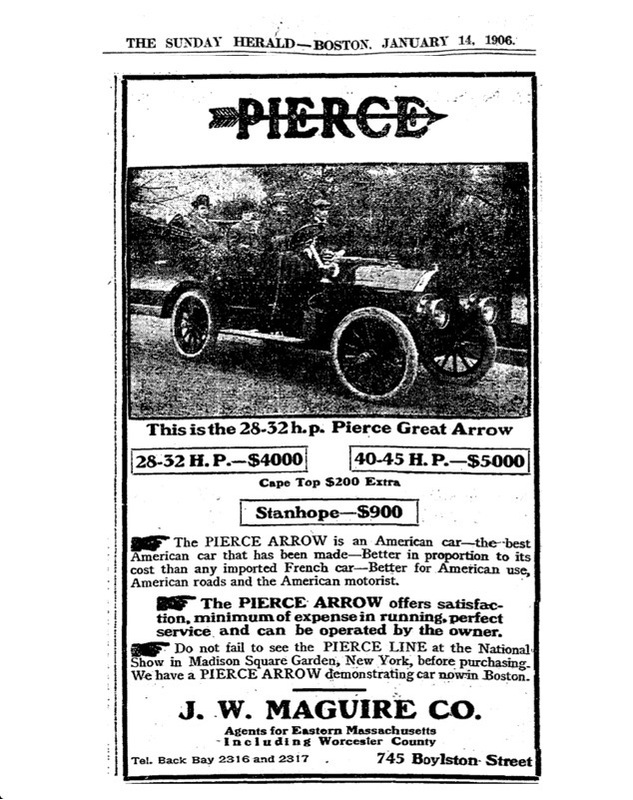 If anyone reading this is a Pierce Arrow club member, do you know the number of each model produced in 1906 (or 1907)? With all due respect Rob, I cannot see where you are going with this post. You are comparing Ford to Pierce, but not explaining why. I think a more valid point could be made if you were able to count the number of cars produced that sold for less than $1000 or $2500, to the number of cars sold for greater than those amounts. 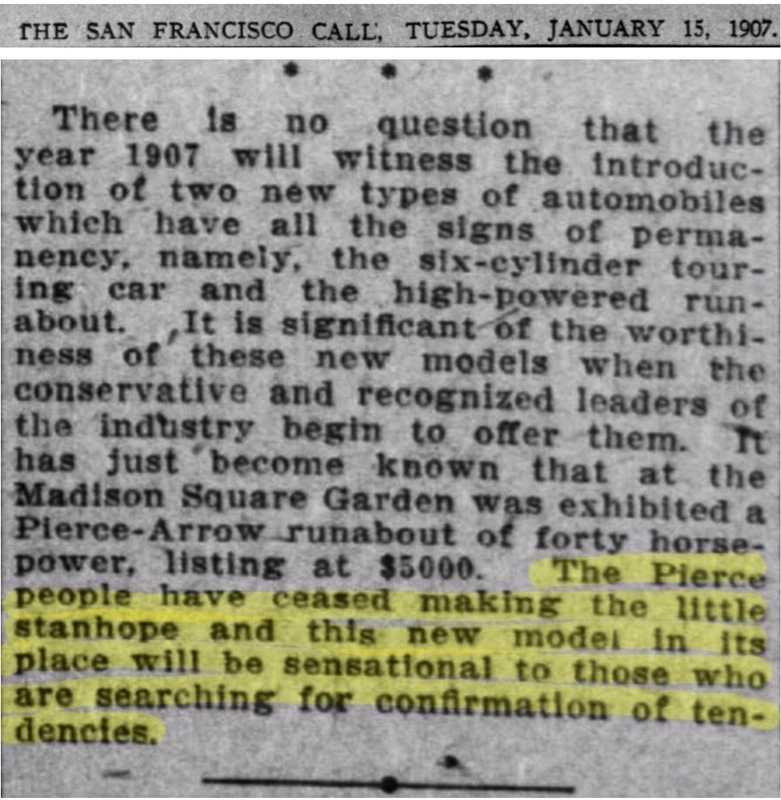 If Pierce only made 100 each of the higher priced cars and 800 of the Stanhope, then you have a better reason to compare the cost and volume of the Models N and K.
If the average income was about $400/year in 1906, than how many families would be able to afford a K versus an N? Or a Stanhope vs an Arrow? I think most of us would consider a Model K to be a higher priced auto similar to the Pierce and not a mid priced auto based on yearly income statistics. Sort of like comparing a Ford Focus to a Volvo or a Mercedes. I think discussing the number of cars still in existence is meaningless - how many Buicks or Dodges from the early 1900's still exist? Not that it matters much Dave, but Dodge was kind of a late-comer as the first Dodge automobile was built in 1914. I guess before that, the Dodge brothers were mostly a manufacturer of automotive components, a large part of which was making parts for Fords! I probably should add however, that Buick however, was an "earlybird"for sure! 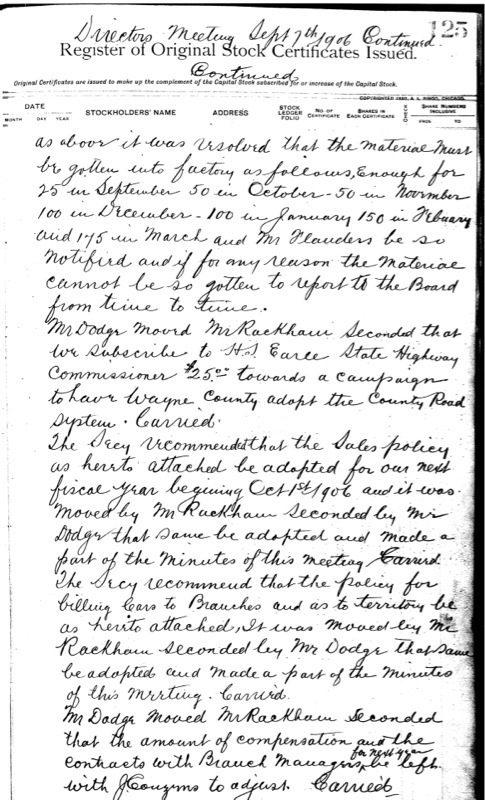 1899 !!! The reason for the comparison is mainly due to having some information to a well known, upscale model that I have weight and other specs for. Also, it's been brought up that Pierce was a better selling car, and I respectfully disagree when looking at actual numbers. Due to lighter and higher horsepower to weight ratio (less pounds per each horsepower) of the Ford K, I think there is an interesting contrast to the higher priced cars of the day. Mainly, the horsepower and performance of the Ford K is similar to much higher priced automobiles and this seems like a "Henry Ford" trademark to me. I agree, the Model K was no where near the other $4000 and higher cars in refinement and appointment. It was, though, similar in reliability and performance, for much less cost. I probably lost the point by comparing with Pierce, and could do the same thing with a $2500 car, comparing features. Sticking with the idea that the "K" was a middle of the pack priced car with upper price size and horsepower is the point. Bottom line, it seems that both Fords, K and N, were much less expensive compared with the cars they competed with in the marketplace. 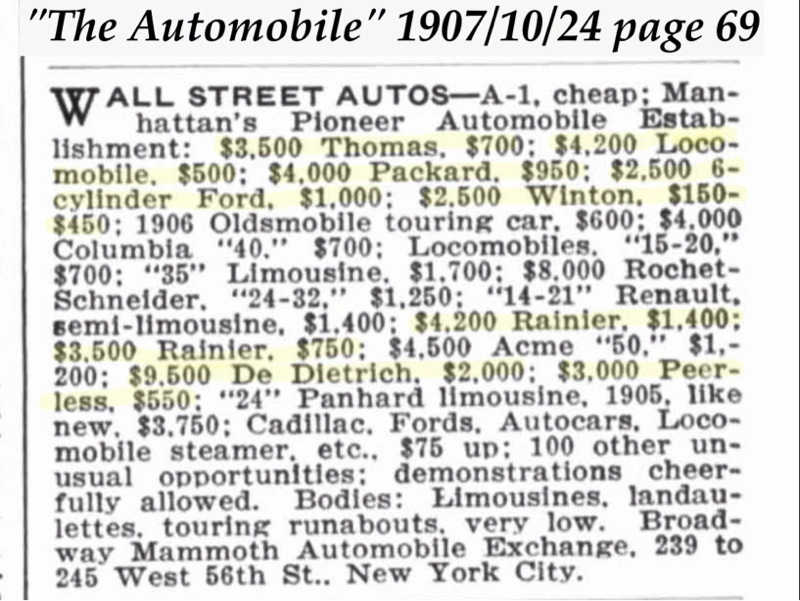 The same thing happens when the Model T appears, a great performing car at a much lower price than it's peers. 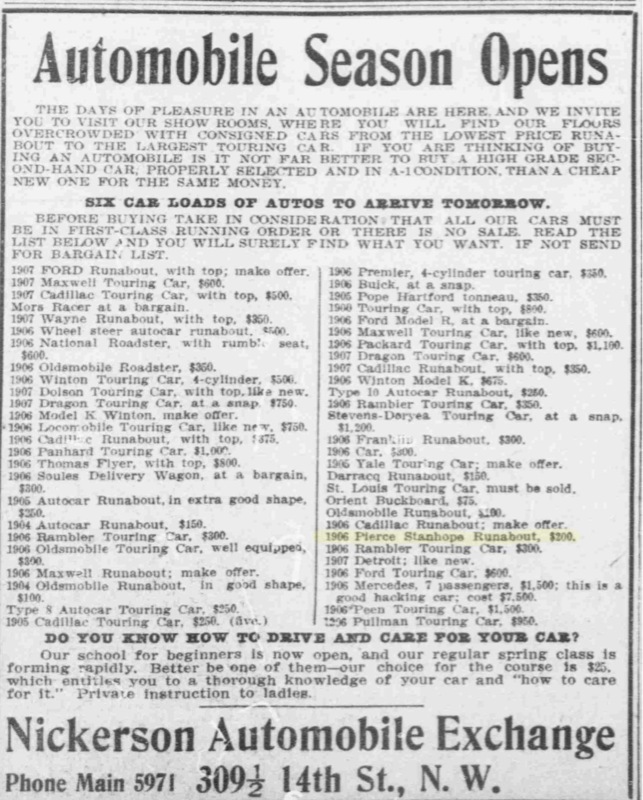 When I get time, I'll print the list of cars in the article, and then one may draw their conclusions with any other 1906 model listed (don't worry, just a link, not posted ). From the AACA site, the median home price for 1906 is listed at $4500 and the average yearly income at $879. However several other numbers for 1906 look a little suspicious, so I don't know how much weight to give the numbers. 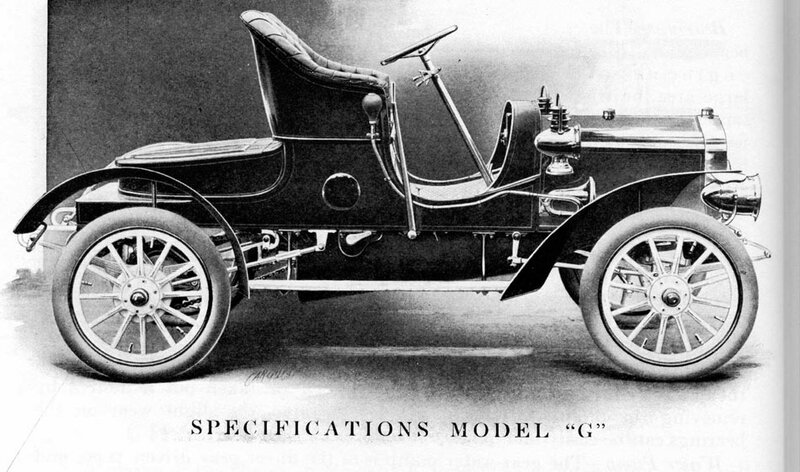 The Pierce Motorette (I think Stanhope is a reference to the horse drawn carriage body style) was a license built copy of a DeDoin Bouton design from 1902 - 1903. It was hopelessly outdated by 1905, and just plain ridiculous in 1906 as a product. 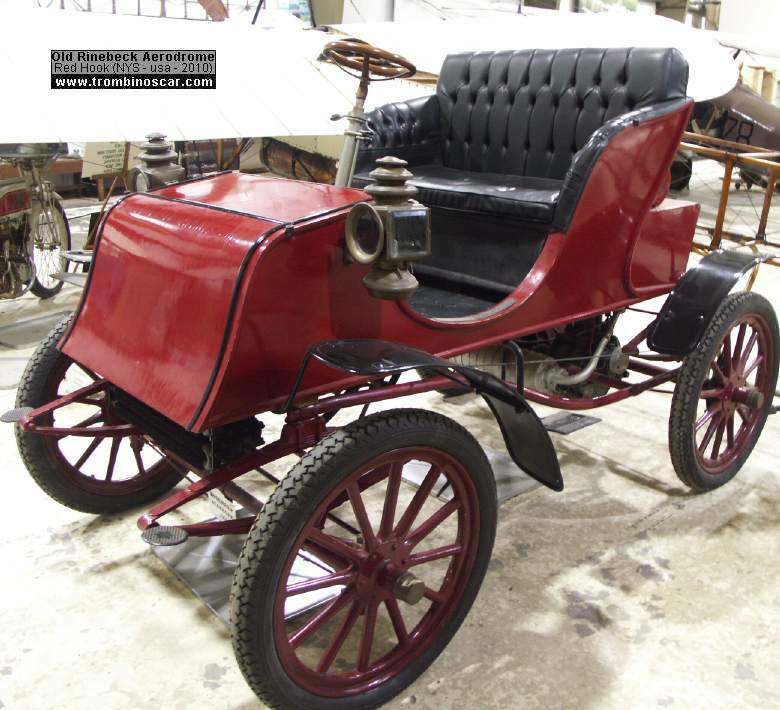 I helped restore a 1904 model Pierce Motorette about 30 years ago. It was a high quality example of a crude, but serviceable automobile. A single cylinder Maxwell, Reo or Cadillac is a far better car. It's akin to selling Ford Model K leftovers in 1909. Ford was doing that, and not because he wanted to. Ford did not list the the Model K (nor Models R or S) as 1909 models (although "leftover" cars were sold, as any manufacturer would do) of each. Pierce listed and marketed the Stanhope as a model for 1906. I don't know how many were sold, but a reasonable person would believe if the car is in their model year lineup, they (Pierce) will (and did) sell the car. Rob, if you can find an example of a 1905 or 1906 Pierce Motorette / Stanhope it would be fairly amazing. I've never seen or heard of one. The 1904 versions are very rare, we found only a couple of them to document for information to restore the example we were working on. Buick certainly gave Ford a run for it's money. 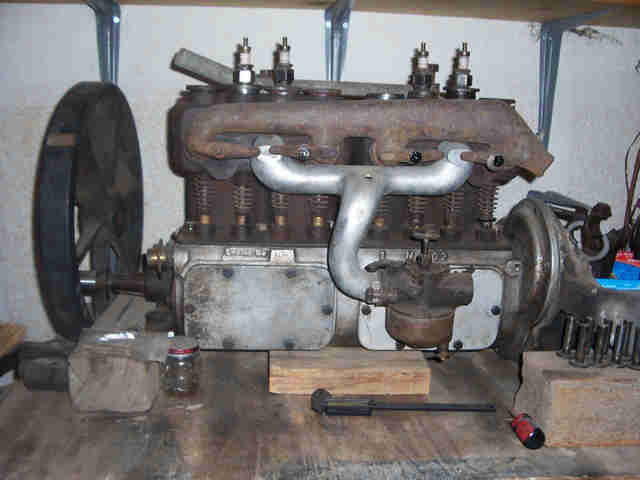 The two cylinder opposed overhead valve was a very strong engine. My '07 climbs hills better than a T. GM bought Buick just after mine was made. They had sold 6300 of the two cylinder cars by then. Herb - I can't tell for sure, but I don't think so. The body looks similar, but then a lot of early horseless carriages do. The Pierce Motorettes all have the round tubular frame that runs just below the front of the body, then it starts gracefully sweeping downward to the rear axle and engine. I can't see that in your picture. I'm not a "Pierce" expert, and like most old car enthusiasts, recognize the marquee as an American legend. The little searching I've done indicates there were about 700 to possibly 1000 Pierce automobiles manufactured in 1906. The comparison is intended to show that the Ford Model K was an inexpensive option for those desiring a large, fast, state of the art (new six cylinder dual ignition) for far less than comparable (horsepower and size) cars. And it sold in numbers comparable (model by model) to the best cars of the period. 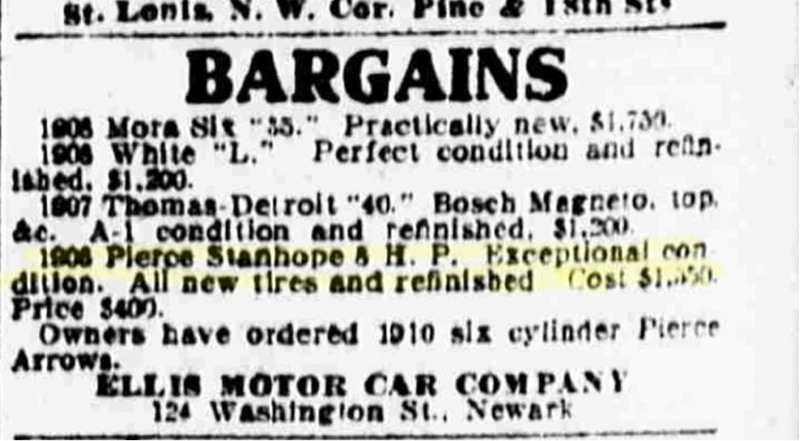 Of the several hundred Pierces manufactured it seems their advertising indicates some of the cars produced were Stanhopes (unless Pierce wished to advertize the model for 1906 without actually selling it). Again, it really doesn't matter in the scheme of things, point being Ford's Model K, in my opinion, was an inexpensive and powerful alternative for those who could afford a median priced car instead of spending $1500 plus for a similar sized/powered car. I don't see the Model K as competition to Pierce after 1906, and probably not during 1906 either. Pierce was attracting customers based on class and distinction. Performance of a Pierce of course was stellar, with consecutive wins at the Glidden reliability tour year after year after year. The Model K being less sturdy and as a result, lighter, did not make any difference to a Pierce or Thomas customer. No doubt the Model K was lighter, it was also simpler, with a crude (for its price class) planetary transmission that no doubt saved a lot of weight. Remember too that Ford was not allowed into the ALAM because Ford was not an automobile manufacturer. Ford was an automotive assembler, and that continued with the Model K. It was not manufactured by Ford. It was a Ford design with the parts being made by others, then assembled by Ford. Pierce on the other hand was an automobile manufacturer, with complete control over its vehicle design, fabrication, machine shops, body building and finish work. The later Orient Buckboards were all friction drive like the Metz (unsurprising, considering they were earlier made in the same factory) whereas the earlier OBs had a two-speed gear transmission. In the mid-'90s I compiled a roster of surviving Orient Buckboards and there were two V-2s listed to about 100 singles. Just because I found it just now. 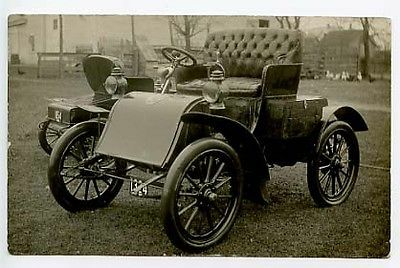 The point being, when one divides the cars sold per model of a concern such as Pierce (reported as three models for 1906 and 1907) Model K (Ford) sales for 1906 and particularly 1907 were quite competitive. The same applies with Thomas, Stearns, Pope Toledo and many other "high end" automobiles, because sales in the hundreds per year for a given model indicated success. A couple of other comments about this 1906 comparison. With a six cylinder engine and dual ignition (Ford, not Pierce) for 1906, I don't agree the Ford was "crude" in comparison (with Pierce or any other high end builder). Add in Ford's new planetary steering system and the Ford might be a better or equal handling and driving car to almost any larger (heavier) car for 1906. Of course I've not driven a 1906 Pierce, so I don't know, these are just my opinions. For 1907 Pierce brought out two six cylinder models, and also went to dual ignition, following Ford's lead. George N. Pierce was quoted saying he did not believe in the six cylinder concept during 1906 (I can produce those comments if anyone is interested). It seems market pressure and/or other reasons caused the company to bring out the six cylinder models for 1907 (as did many other manufacturers, following Ford and a few other six cylinder builders successes). Ford was probably the leading six cylinder manufacturer for 1906 and 1907 in the world in terms of number of cars (six cylinder) sold. Quite an accomplishment for an "assembler." Concerning A.L.A.M., if Ford was "not allowed in" because they (Ford) were "assemblers", why were they (Ford) being sued over patent infringement by the organization? That's a whopper. And that's not an opinion. It's not a "whopper" at all. The ALAM did certainly sue Ford and they certainly did deny Ford membership on the basis of Ford being a mere assembler of automobiles. The two facts are not dependent on one another. Please try to do better research before making such a ridiculous statement. Ford unceremoniously dropped assembly of the Model K after placing a single order for chassis in January 1906. There was never another order for Model K chassis, regardless of anything Ford said or did. You should judge Pierce the same way - look at what they did. It is frequently way off from what they tell the reporters. Newspaper articles are fun, and interesting, but they often (as you have shown repeatedly) contradict history. Ford was trying everything he as an individual and they as a company could do to unload those 1000 chassis. "Please try to do better research before making such a ridiculous statement. Ford unceremoniously dropped assembly of the Model K after placing a single order for chassis in January 1906. There was never another order for Model K chassis, regardless of anything Ford said or did." NO, FORD DID PLACE MORE THAN ONE ORDER FOR MODEL K CHASSIS. I agree, research is a good thing. While my research will not always be correct, it's based on the best information I have at the moment along with my observations and opinions. As any reasonable person would acknowledge, history is subject to change as more facts become available. Ford Motor Company initially received 350 Model K chassis from Dodge Brothers. Of those 350 chassis, we know car number 348 was the highest documented sale (Trent Boggess ledger research) of Model Ks for Fiscal Year 1906 (ending Sep 30 1906). 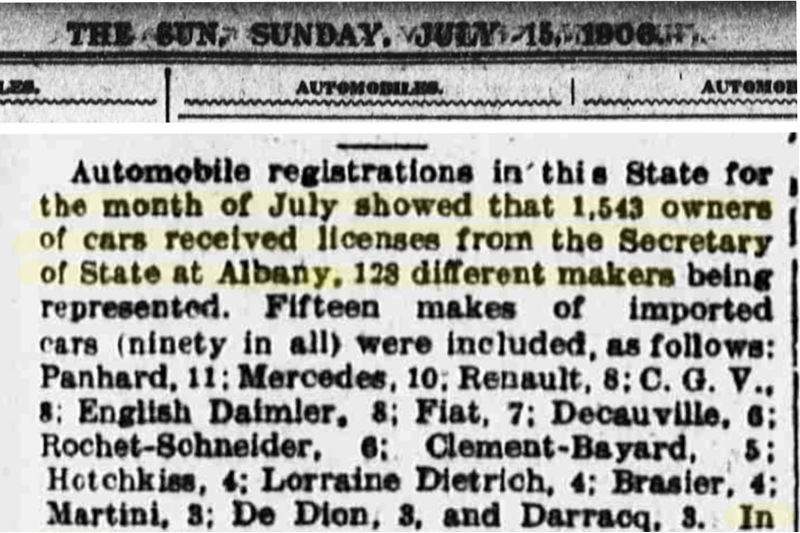 The ledger is not complete, but period news accounts tell us Ford claimed to have sold 350 Model K touring cars for 1906 (I'm don't know if this number represents sales for FY 1906 or Calendar Year 1906). Furthermore, we know Ford Motor Company reported the sale of 457 Model K tourings and roadsters for Fiscal Year 1907 (Oct 1 1906 - Sep 30 1907). If one reads the minutes posted above The board specified a timeline for the chassis (not car, chassis) to be delivered. Following delivery, FMC would build the car, test it, and move the cars to branches and dealers for sale. 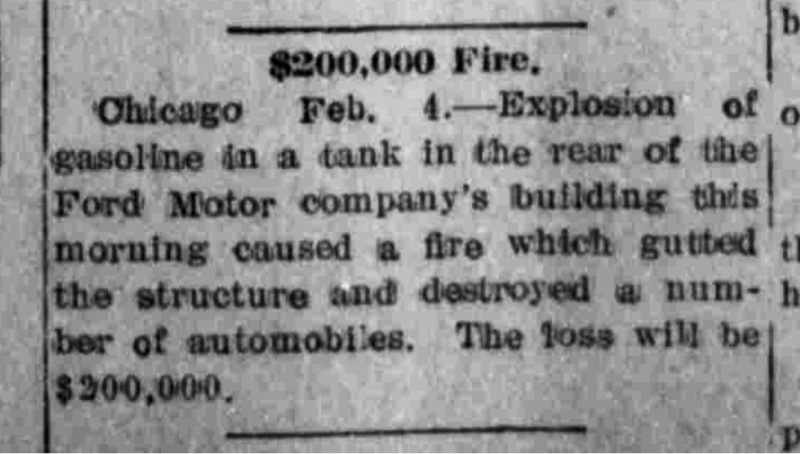 An additional ten new Model K cars were destroyed in the Philadelphia Ford Branch store fire, February 1907. I don't know how Ford carried this loss, if there were actually 467 Ks "dispatched" in FY 1907, or if these were included in the sales numbers (doubtful in my opinion). 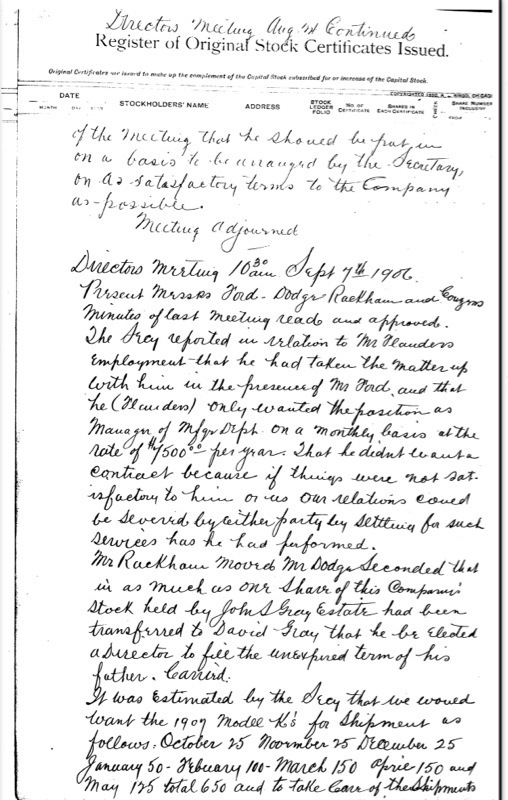 Then, we know FMC audit reports show the sale of 119 Model K (FY 1908) and 42 Model K sold in FY 1909. These "facts" are reported by Ford Motor Company board meeting minutes and Audit Reports. If one chooses not to believe this information, so be it. Who were the body supplier's for the model K and the 640 roadster? Bud. I believe Wilson. I'm not sure if another supplier provided bodies too? Maybe Hap posted regarding that once (poor memory ). Caught myself on another mistake (sorry). The fire that destroyed 30 new cars, including 10 Model Ks, and a total of 50 cars occured at the Ford Chicago branch, not Philly branch as I wrote above. I'm still looking for the article I know I have about Wilson building bodies for models N and K. Meanwhile, I came across a couple of others that I thought interesting. First, I should have posted this at the beginning of the thread, but forgot about it. 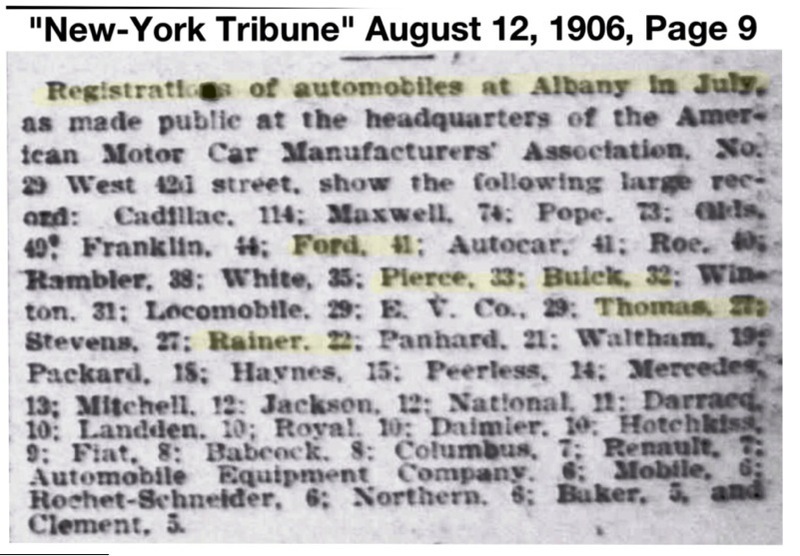 The article list the number of automobiles licensed in New York State in July, 1906. At this point, Ford was not yet delivering Model Ns, and very few Model Fs were sold, so most of the Fords listed are Model K touring cars. Ford comes in 6th of 128 car makers licensing. With 67 cars registered Ford is ahead of well known high end car makers Thomas, Pierce, Packard, Winton, White and Locomobile. 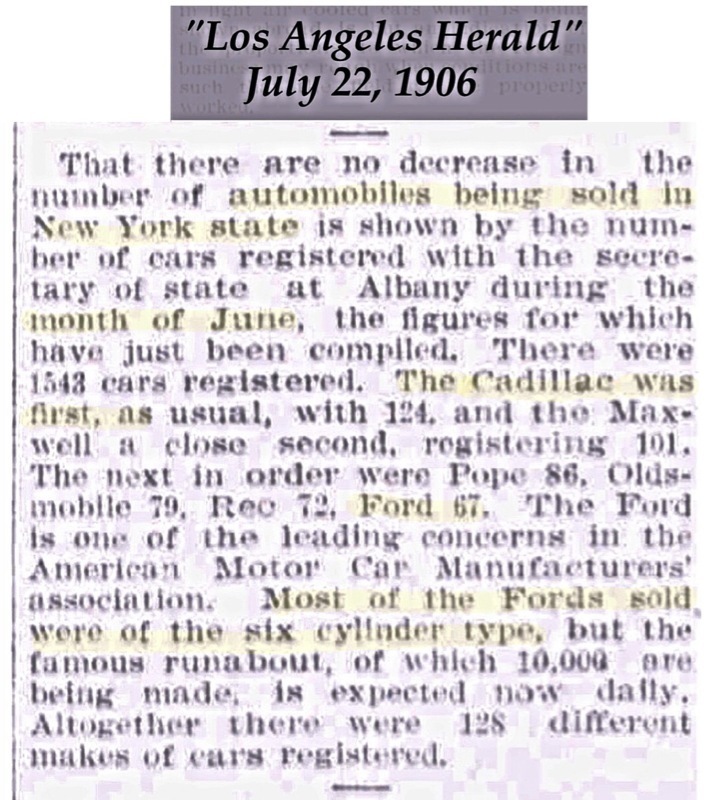 I consider this good independent corroboration the Model K was a good seller in comparison with other high end manufacturers, at least for the Month of July 1906 in New York State. Rob,It's great to see the listing for Rainier!!!!! The Chevrolet plant i started in was the home of the Rainier and our MW shop was in the old part!! Bud. 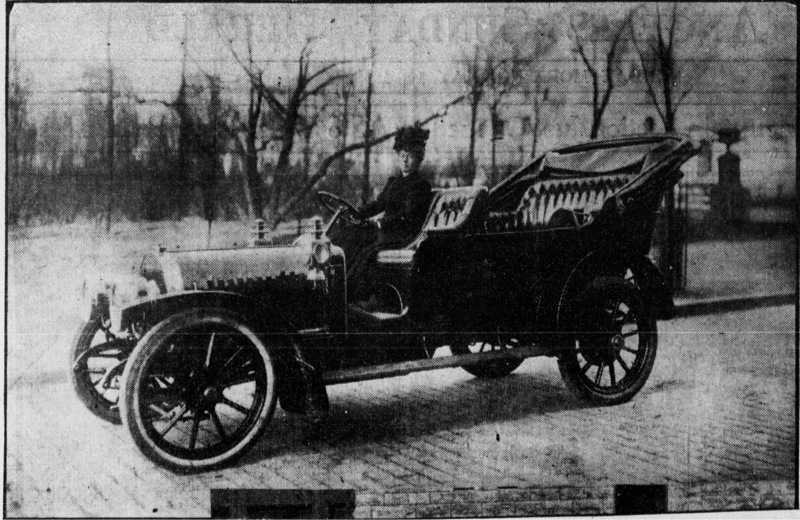 In 1906 a automotive dreamer and doer J.T.Rainier moved his company from New York to the corner of Sixth and Washington in Saganaw,Mi and started to build his namesake vehicle. In 1907 Rainier sold his/our building to Billy Durant.In 1909 the GM board voted to incorporate the Marquette Motor Company.When we were in the Yukon looking at a huge Gold Dredge we stoped at a Tourist trap and they had a Marquette.The Wife printed the picture and add's on very good hard shiny paper and they are now in the book Chevrolet gave me when we/they closed that plant.Rob,I can't thank you enough!!!! Bud. 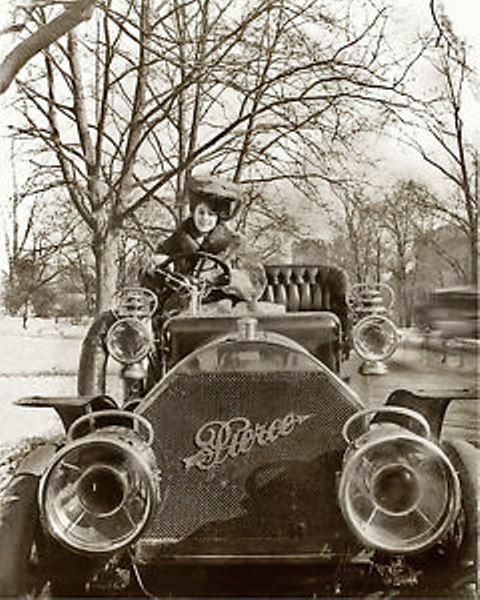 Mrs. Cuneo was one of the best known female drivers in the early 1900s. I've seen her name in relation to Ford when looking up endurance and tour results. I forgot she drove a Rainier (at least through part of her career). Wow this is great information. I love early automobile history and info. Especially Ford's 1903 to 1927. Keep it coming. Rob,Doing 10,000 miles without repair,no wonder Billy Durant bought the company!One thing i noticed that used price in 1907 of 75.00 for the Locomoble steam was falling fast?? Thank's again!!!!!!!! Bud. Definitely an impressive car. I wonder if there are any remaining? 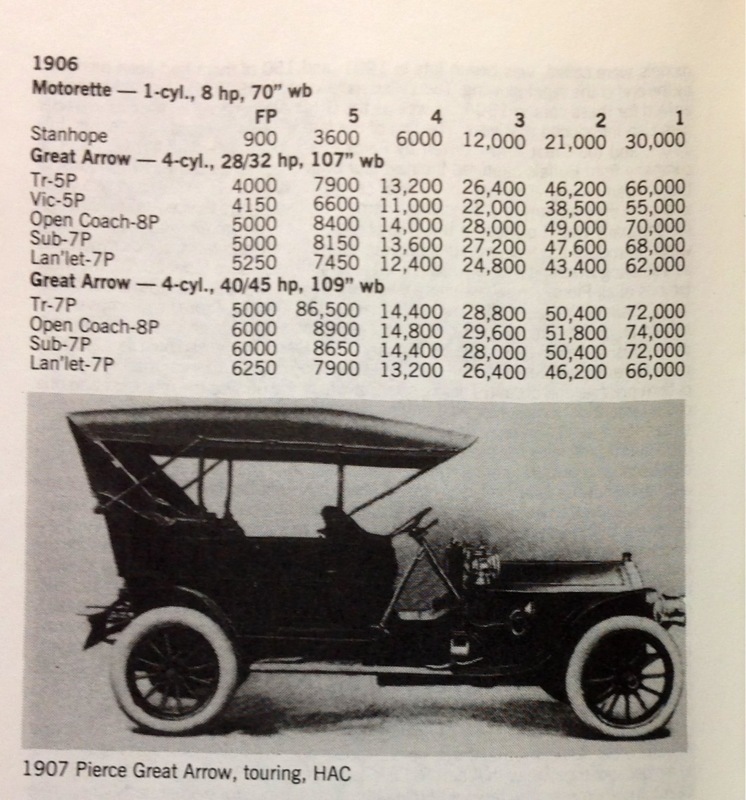 The "Standard Catalog of American Cars" says 300 were built in 1908, but I couldn't find any production numbers for 1905-1911 other than that. The description of the car also says the company said "simply a case of not having enough cash to get through the product we had planned" due to the panic of 1907. Rainier did well again in sales for the Month of July (the above article said July, however should have been June (another press copy of the story below). This account with June numbers also states most of the Ford's are the "six cylinder type". 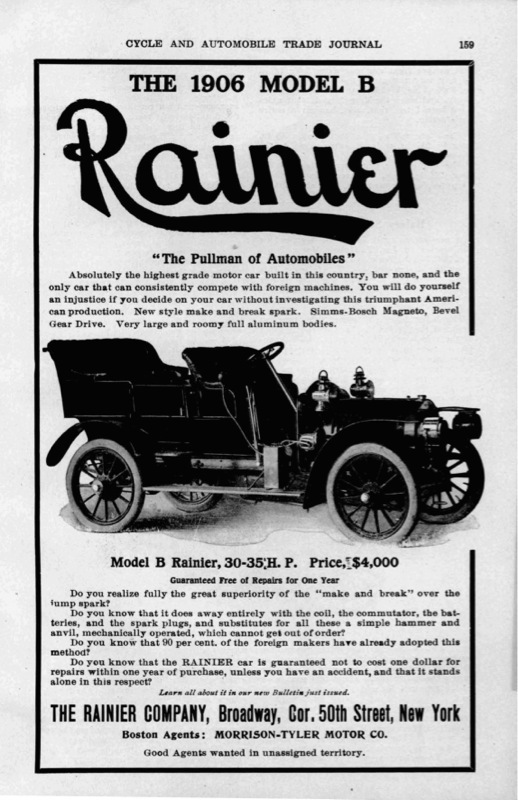 Rainier came in 18th, ahead of makes still recognized such as Packard and Mercedes. If your still on this, I came across the April N.Y. State registrations. Again, Ford did well (no Model N sales will occur until mid July), as did Rainier. 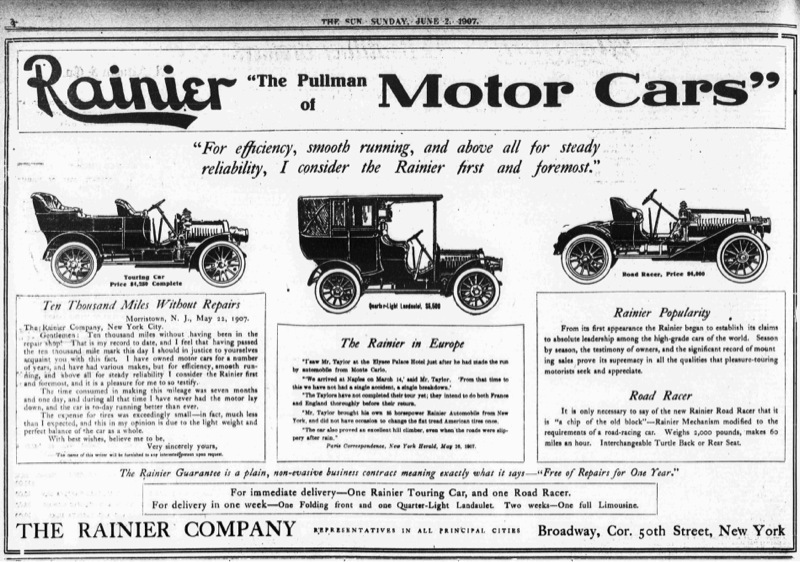 Ford ranks 5th, and Rainier is ninth, just behind Packard, with more registrations than well known (today) makes such as Peerless, Pope, Pierce, Rambler and Buick. I thought the low number of Oldsmobiles interesting. It appears over 120 makes of automobile were registered for the month. Thank's Rob!! It sure seems to me that the Model K did have a big part in making Ford Good.Maby next year we will again go to the Gillmore Red Barn's and they have a large collection of early car's.Bud. I missed it. This ad reads left to right. Ford is #9. Pierce is 4th and Olds actually just follows Ford at 10th. I found another article and will post it in a bit on a "clean" thread.